In recent years, a new form of marketing has emerged on the scene – influencer marketing. This is defined as the practice of building relationships with people who can then build relationships for you. Social media platforms such as YouTube, Instagram, and Facebook have helped develop and enable the success of influencer marketing. This blog explores the topic of influencer marketing and how it is impacting the marketing landscape. In order to truly understand influencer marketing, we must first clearly define what an “influencer” is. An influencer is someone who has a strong connection with his or her audience. Influencers include: industry experts, bloggers, and micro influencers. Unlike celebrities, influencers are everywhere – they can be anyone. What makes influencers “influential” is their large following on social media and other digital platforms. A large following gives influencers the power to affect the purchase decisions of others because of their knowledge, connection, or relationship with their audience. Influencers affect purchase decisions because consumers nowadays crave a more personal and authentic voice. Consumers are constantly bombarded with advertisements, and as a result, they feel more inclined to trust product and service reviews from influencers as they only promote products they feel strongly about. Since influencers have an authentic voice and the power to affect purchase decisions, brands are quickly turning to influencers in order to have them promote their products or services. If your company does decide to use influencer marketing to promote its product or service, it’s important to remember to set goals. Also keep in mind influencer marketing doesn’t necessarily increase sales; it’s more about increasing public awareness and generating buzz around your brand. This is why it’s important to research and identify the kind of influencers a target audience listens to. It’s also important to note where people are connecting with influencers. Currently, Instagram seems to be the most popular platform for influencer marketing, as about 92% of influencers use Instagram as their number one platform. However, just because Instagram is at the top of list doesn’t mean brands should ignore influencers on other platforms. Each platform has its own niche audience it caters to. The popularity of influencer marketing is quickly rising; big brands like Dove and Olay have used influencers to help launch comprehensive advertising campaigns. In such a competitive advertising market, it’s important not to over-saturate consumers with influencer advertisements. 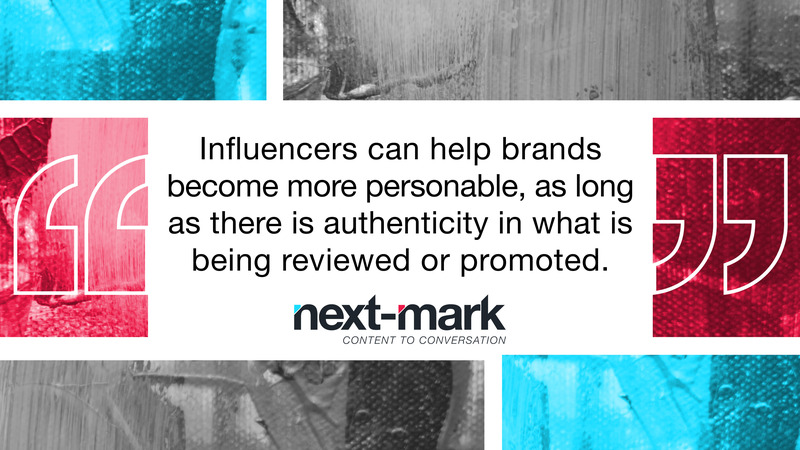 Influencers can help brands become more personable, as long as there is authenticity in what is being reviewed or promoted. A successful influencer campaign is about creating an authentic voice by finding the right platform and the right influencers. Influencers have helped revolutionize advertising and marketing into something more authentic and personable. Influencer marketing may be a fairly new concept, but as social media and other digital platforms create more ways for influencers to reach their audiences, the demand in influencer marketing will only continue to increase. The partnership between brands and influencers has definitely become a forced to be reckoned with.